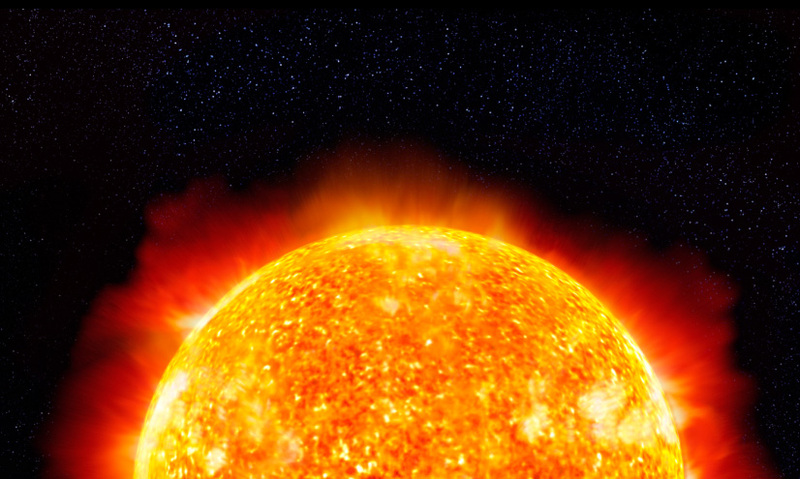 How do we know how powerful the Sun's energy is from here on Earth? 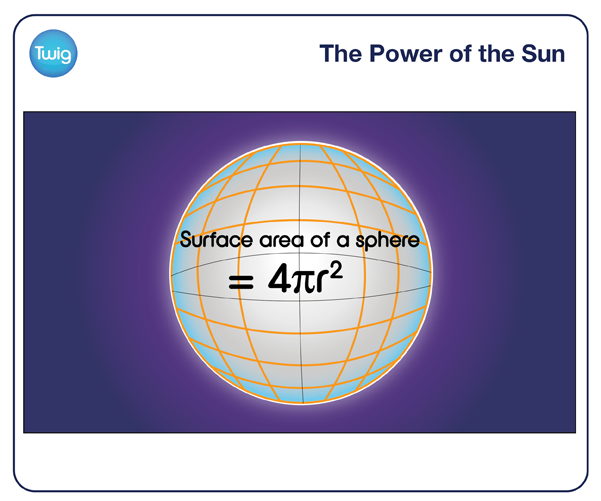 Measuring the surface area of an imaginary giant sphere holds the answer. Though we see it as just a light in the sky, the Sun is a force to behold. The energy it generates seems beyond comprehension. But using physics and geometry, it's possible to measure its power from right here on Earth! Dr David Alexander Rice University, USA – "One of the earliest experiments to try and measure the actual power of the Sun, was by astronomer William Herschel in the 19th century where he had the brilliant idea of just watching a piece of ice melt to see how long it would take and therefore from the properties of the ice work out how much sunlight was coming to the ground." 19th century scientists knew how much energy was needed to convert ice to water. Herschell could use this information to calculate how much energy was required to melt a slab of ice of a specific mass and surface area. And he could use this to calculate the total energy supplied by the Sun. Herschel knew that heat radiated outwards from the Sun in all directions and that the Earth orbited the Sun on an elliptical path with an average radius of 150 million kilometres. If sunlight could melt Herschell's slab of ice on Earth in 30 minutes, then it would do the same to an equal thickness of ice at this distance from the Sun in all directions. Herschel calculated the surface area of the theoretical massive spherical shell of ice using the formula 4πr². He could now calculate how many times bigger the sphere's surface area was to his slab of ice. Knowing how much energy was needed to melt his small slab, he could then calculate how much would be needed to melt his gigantic ice sphere. His figure was accurate to within a few percent of what we now know the true energy output of the Sun to be, 3.58 x 1026 or 385 million billion billion joules per second! It's difficult to comprehend just how much energy the Sun produces. It generates more energy than 900 trillion atomic bombs every 30 minutes and it is this vast energy source that provides the unique conditions for all life on Earth.